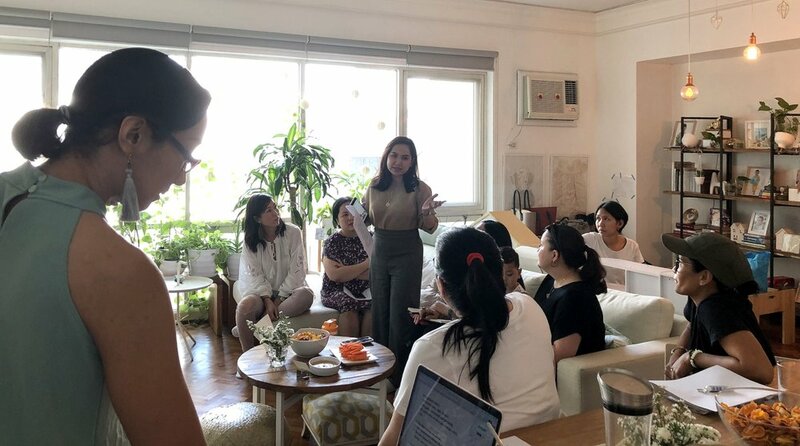 It has always been a dream of Ayessa, founder of DeclutterMNL, to hold a workshop where she could to teach others first hand the decluttering skills and practical choices that have simplified life in each of the cities she’s lived in. This year, the DeclutterMNL Team made it a goal. And with the help of branding/life/mindset/wellness coach extraordinaire, Martine De Luna, we were able to make it happen. 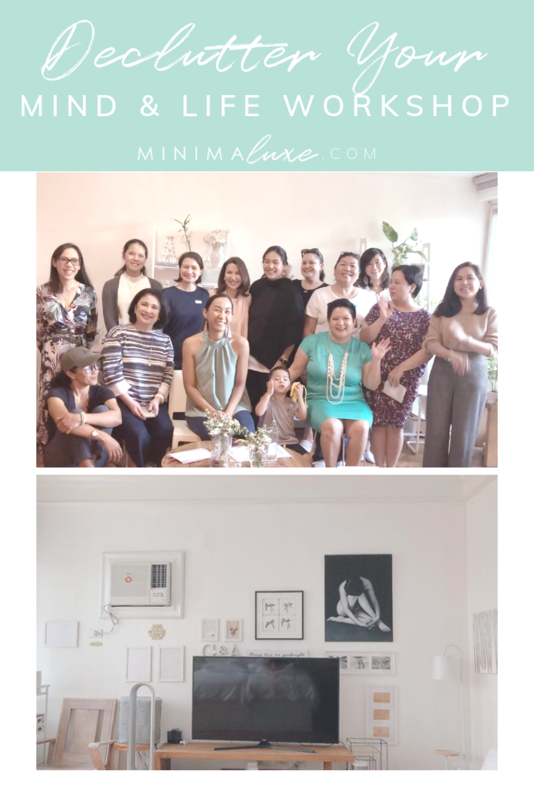 The first ever Declutter Your Mind & Life Workshop was held in Makati, Metro Manila last 23 February 2019. We were nervous and excited for the day we’ve all been preparing tirelessly for, and the guests rolled in and the festivities began. It was great to connect with each special attendee, coming from so many different backgrounds, in different states of clutter, and see how they were also connecting with each other. Please scroll down to watch our video of the workshop. The first objective of the workshop was to talk about our existing mindsets that held us back from living a decluttered life. After all changing our mindsets, changes our lives. Martine De Luna discussed not just the health results of a happily decluttered home but dove deep into the reasons why we have clutter in the first place. It was extremely insightful and enlightening, as Martine walked us through old frames of thought that were influenced by our very own upbringing and the belief systems our parents passed down to us. Now, as adults, we forget to question how we think of stuff and our relationship with our clutter. Our attendees were able to not just share, but also process their thoughts and experiences, we moved onto the practical side of decluttering. 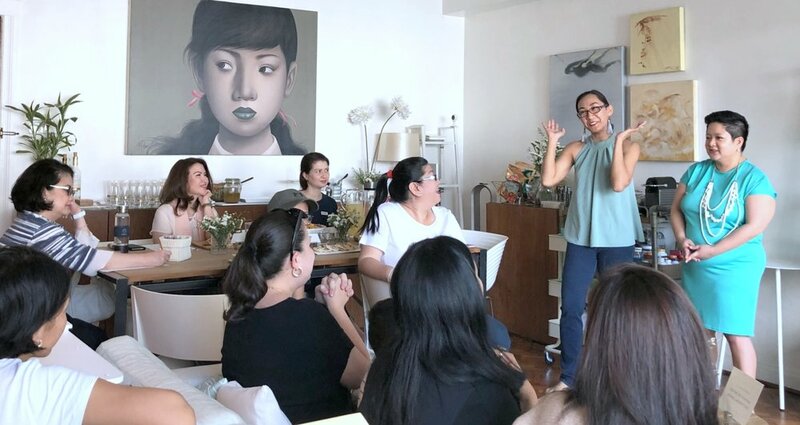 What was unique about the workshop was that it was in Ayessa‘s DiploHome so we could really see how she applied the different tips and tricks she loves to blog about and teach her decluterring clients. Nothing is more inspiring than seeing it in person, and having an exclusive peak through her closets & storage. Room per room, the attendees were shown and taught the ideal ways of storing items, arranging closets, and decorating in a mindful and meaningful way with less clutter. Ayessa shared how she created & decorated sleeping areas that are restful and promote calm and relaxation, not just in her own bedroom, but also DiploBaby’s room. Every corner from the living room to the utility area was seen with the best tips to keep things tidy easily, and making life easier. The hands-on KonMari folding demo was a chance for everyone to learn to fold clothes in the a way that’s efficient and almost therapeutic. 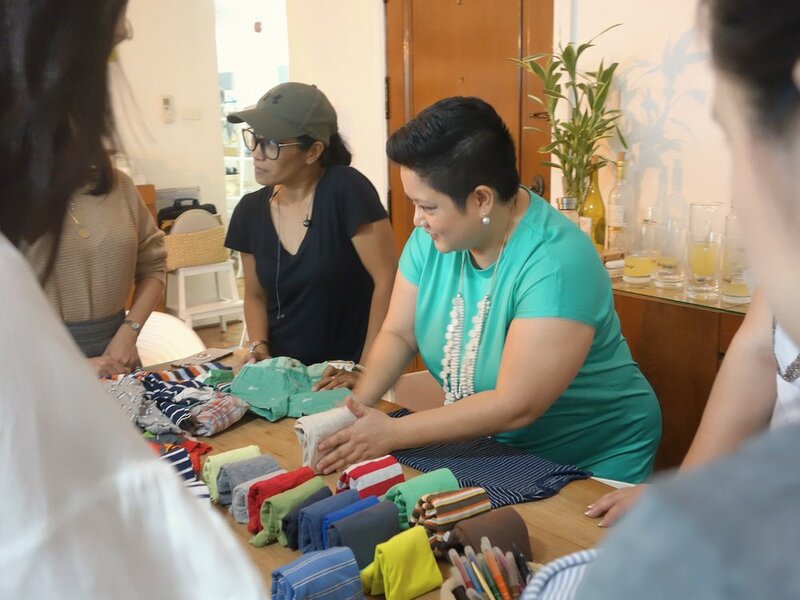 The workshop was a hit right from the get-go, and to top it all off, our attendees went home with a bag full of DeclutterMNL approved products that are not only effective but also made from natural ingredients. These products also help simplify our most problematic areas, while being safe for everyone from the tiniest members of our households. We are so grateful for our brand partners who said yes, because we are able to show our attendees that it’s possible to live a more decluttered life while creating healthier homes for our families. Best of all they are locally made and more environmentally sustainable. Armed with these products, our attendees are well on their way to a more decluttered life. Kurin Water is chemical free, all natural WATER used as a cleaner, degreaser, sanitizer, and, deodorizer. From cleaning your jewelry, to rinsing your fruits and vegetables, and sanitizing your hands this Super Alkaline Ionized Water can be used to clean all your household and personal items. One products that can do many things, will really declutter your cleaning pantry! Esscentials Manila has all kinds of all natural products you can use from liquid soaps to oils for diffusing. They are a favorite of mine for gifting personalized products that can easily be refilled. Be sure to ask which of their products are made with essential oils and no harsh chemicals. This travel sized kit is perfect for mamas and also for kids to keep in their school lockers - especially when their school bathrooms don’t have soap! TinyBuds Newborn Laundry Wash is not just perfect for newborns (especially if you are using environmentally friendly reusable diapers! ), but it’s also recommended for all family members because 1) it doesn’t pollute your indoor air with synthetic fragrances 2) no harmful ingredients that can cause allergies and 3) it totally declutters your laundry area because ONE SOAP, can be used for all: whites, coloreds, blacks, silks, etc. 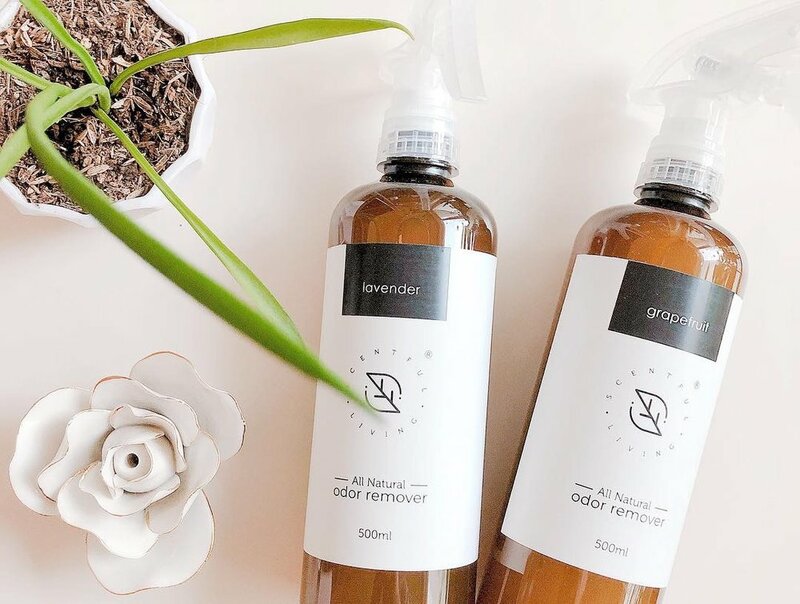 Say good-bye to numerous bottles cluttering up your laundry! 4) it’s biodegradable and better for the environment. Did you know that in Germany Talcum Powder is no longer recommended for babies? Talc is not safe for inhalation, so even if you are putting it on the skin, there is still the possibility of inhaling the fine talcum particles, even if we try to hold our breaths. We can’t really tell babies to hold their breath. Tiny Buds Rice Baby Powder is the 1st baby powder made from 100% real rice grains, with no talcum powder and harmful preservatives. It’s safe for babies with skin asthma and skin eczema. Mom’s can use this too as their setting powder when applying make up! Why use dishwashing soap that uses synthetic colors and fragrances and chemicals? Nature to Nurture’s Baby Bottle and Dish Wash is the perfect solution for that. Their Multi Purpose Cleaner is ideal for cleaning everything, even children’s toys. So you can spray away without worrying about your children’s or your own health. It’s formula is concentrated so you’ll only need a few cap-fulls for big surfaces to clean, mix with water and spray! You can buy the spray bottle first which is already diluted and then when you run out just buy the concentrated refills and mix with water. . Many people still use toxic chemical sprays to kill pests in our homes, but we don’t realize that we are also slowly poisoning ourselves. It’s no wonder indoor air is more polluted than outdoor air, despite all the cars and traffic. Because we use so many products at home that are actually harmful and toxic. This is why I love Messy Bessy’s Dust Mite Spray for mattresses, carpets, stuffed animals, and even pet beds and Messy Bessy’s Roach Repellent Spray! When we spray things in the air we need to be aware that smaller beings like babies and pets are affected faster than adults are. I stopped using chemical sprays for cleaning and pest control in our first home in Jakarta because my brother in laws cat died of kidney failure from all the sprays they were using. I swear by the combination of this Roach spray and roach baits. Even if you don’t have pets and children, you deserve a non-toxic home. Replace your chemical filled disinfectant sprays with their Disinfectant Aroma Spray. Their Pocket Sanitizer is perfect for yours and your baby’s hands because it’s food safe, so you wont need to worry about your toddler’s hands in their mouths, nor do you need to worry about eating french fries or picking up food with your hands. Everyone was given a bottle of Theodore’s Home Care Dust Buster, their latest product that not only cleans furniture, but also makes it less prone to dust sticking to it, lessening dust build and reducing the need to clean. Again it’s made with only natural ingredients and essential oils, no nasty chemical scents that I am allergic to. Each of our attendees were also given Monogrammed Valet Trays and Cord Organizers with their names on it! I have been a fan of Travel Essentials for over a decade now. They make the most thoughtful Christmas gifts, and have made traveling in style and in an organized manner easier for me. They can be personalized too if you wish. I love bringing along the travel caddy, because it packs flat, then I use it for placing valuables in the room’s security box. This way you don’t forget any tiny valuables in the safe. Ayessa loves hosting with only the most delicious food. Our attendees were treated with some yummy food with healthy alternatives too! Real Girl Toy Kitchen’s Chipotle Hummus, Spinach Artichoke, and Fresh Pesto dips.were equally delicious with pita bread and gluten free carrot sticks. IKOMAI x TOCHII is another favorite of Ayessa’s family because of their addictive Chicken Karaage (best you will every try I promise!) and freshly baked Peanut Butter Cookies. The chicken karaage, which is a secret recipe from Chef Hide’s father was served hot and freshly made. It was perfectly crispy outside and super juicy inside! They have many different cookies and desserts at IKOMAI x TOCHI, but the peanut butter is a unique and surprising favorite too. Even peanut butter haters are converted! 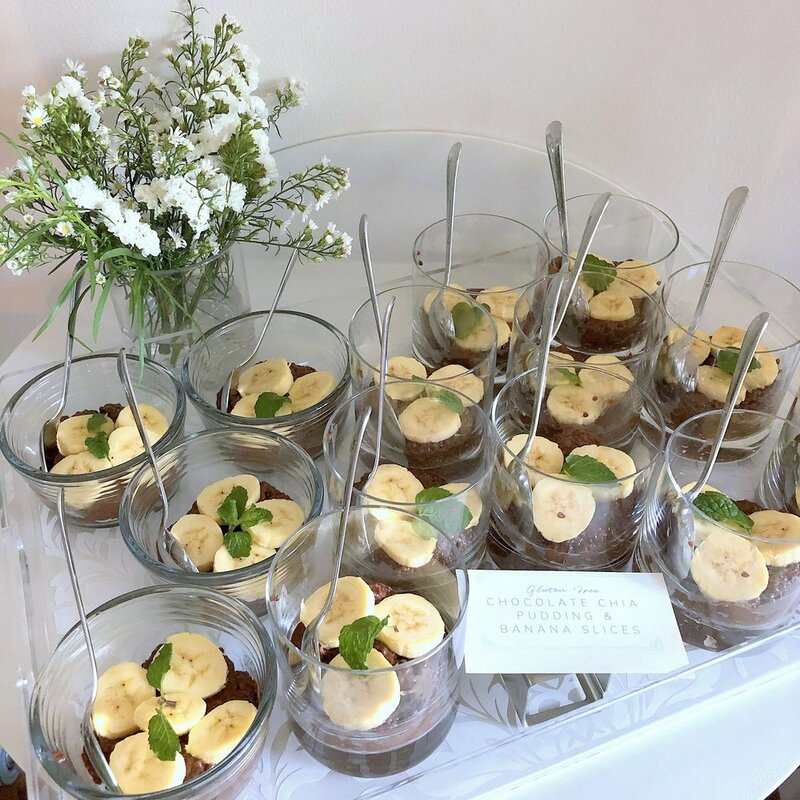 Everyone loved our very own Gluten Free Quinoa Salad and couldn’t get enough of our Gluten Free Chocolate Chia Pudding﻿. You can check out the recipes on Undiplomatic Wife’s blog. It was an event for the books and one that we are already getting numerous requests on to have again. With so many asking when the next one is, another one is in the works in the near future! If you are interested in joining our next workshop please let us know here so we can get in touch with you with the details! We were inspired by each of the women who attended, each of the generous sponsors who participated and our partnership with Martine. We hope to do it all over again soon! Please enjoy this short video that we made of the event! I hope to meet more of you, and connect with you in future workshops and on Instagram. We would love to hear from you on DeclutterMNL Minimaluxe and unDiplomaticwife. If you enjoyed this post, please don’t forget to pin the image below! See you soon! When it comes to planning a solo decluttering session to clean out the pile of stuff-I-don’t-need-but-bought-anyway in our homes, a good number of us just end up staring at the cluttered mess and then vowing to do it the next day instead. Repeat. But in all honesty, who can blame us? A mountain of useless things isn’t exactly the most appealing thing to be around, and if you don’t want to be around it, why sort through it? I mean, where do we even start? That’s where DeclutterMNL and Martine De Luna’s “Declutter Your Mind & Life” Workshop comes in. It’s your one day ticket to the luxuriously minimalist lifestyle! Starting your journey to a clutter-free lifestyle isn’t as simple as picking something up and throwing it into a cardboard box; you’ve got to start with the why. Why do you feel the need to declutter? Is it the heavy feeling it gives you when you walk into a room filled with dusty items that haven’t been touched in months? maybe even, years? Is it the fresh start you need to live a healthier lifestyle? What is your motivation behind decluttering? and more importantly, how will it benefit you? At the workshop, Branding Coach Martine De Luna will dive into the science that links clutter to the mind, and why living clutter-free creates not only a healthier lifestyle but a healthier YOU over-all. We will help you find your reason and motivation to kickstart your tidying journey, and along with this, a number of helpful tips and tricks from DeclutterMNL’s very own Ayessa Bautista, who will discuss and demonstrate the actual act of practical tidying and decluttering right before your very eyes. And all you have to do is watch, listen, and learn. My best friend and I have always been complete opposites, but I was honored that she asked for my help to create the Jungle Sala of her dreams. The style of her home had been the same for the past decade and she was ready for a change. We’ve been drooling over #JungalowStyle posts on Instagram and Pinned so many pegs on Pinterest! Jenn’s and her family love books and movies like Star Wars and Avatar. The best interiors are the ones that reflect the personality of those who live in it. But there is always a way to do this in a fun and put together way. The secret? Creating VIGNETTES with books, decor and collectibles, so they create interest in each shelf. Living in Berlin, I loved how all flats were painted totally white - even the cornices - because it made rooms feel large and grand, but not boring. Different colored cornices are dated, but paint them the same color as your walls and they feel more modern, yet not plain. So I recommended to Jenn to paint the whole room white, to emphasize the high ceilings and show off the old building’s details. They don’t make condos like this anymore. The Philippines is a warm tropical country, yet I see a lot of people decorating their homes in warm colors like red, orange and brown. These colors make interiors feel warm and smaller than it is. So I say go for cooler colors that reflect light like base color white - no need to mix and always easy to buy - then combine with cool greens. Surfaces have a tendency to get messy. So again create vignettes on your surfaces, to make it look put together and fun. Say thank you to your hand me down furniture for how it has helped you over the years especially when you were starting out. Then you can either 1) offer it to staff, who might want to refurbish it 2) or places that might recycle the materials. I love white interiors and advocate white living, but I promised Jenn that the result of her interiors would reflect her personality and her Pinterest pegs. We just needed a good clean, cool white base. MINIMALUXE TIPE: I love the idea of wall-papering nooks, or even interiors of closets, to make it much more interesting than a different color of paint. It’s as if you are stepping into a different world and add’s that touch of whimsy and bold personality, without overwhelming the space. 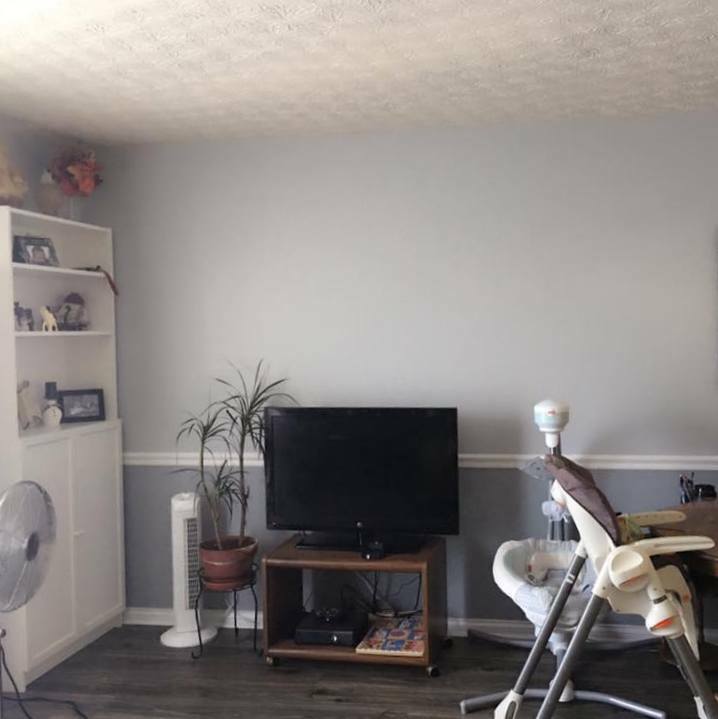 The only other thing was the ugly brown shelving for electronics. It was the perfect size - compact yet hardworking - so I didn’t want to just get rid of it or paint it white. I told Jenn to wall-paper it in the same wall paper for the nook. And I thought it came out rather beautifully, don’t you think? When we work with clients on their space, we try to use what is already there, but just make it better. The wall papered shelving added so much interest and depth to the TV nook. I’m really so proud of this project. It really went from blah to Pinterest-worthy in one afternoon of wall-papering. DECLUTTER MNL also sourced these powder coated steel shelves that would do well with plants because moisture can damage wooden shelving. And an accent chair to replace the old one seater couch is airy and well-loved by the kids. What do you think of Jenn’s #JungalowStyle Sala? In the future, I would love to share with you some more parts of Jenn’s home that we helped transform using color, some well-chosen furniture pieces and a photo wall. For us it’s not just about decluttering and organizing, we help clients look for organizers, furniture, decor and home items, that will help them visually declutter their space and beautify it while fitting within their budget and making their dream spaces come true. 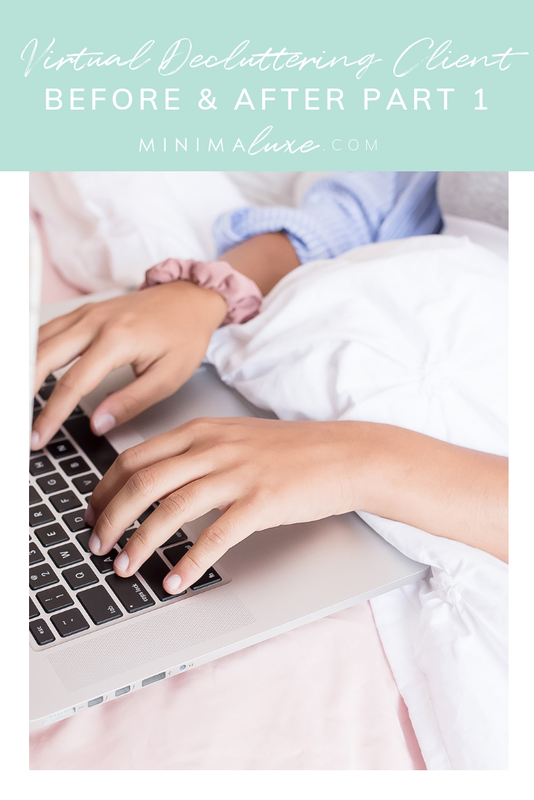 Let’s admit it, we all have days where we lack the motivation and inspiration to continue a minimalist lifestyle. Especially if you’re someone who’s just transitioning into it, it can be an overwhelming experience to have to refuse every aesthetically pleasing thing that you want to buy. But no worries, because that’s what this post is for! We’re here to help boost your MinimaLUXE motivation and keep you up and running! Without further ado, here are our MinimaLUXE choices for our Inspiration Spotlight! Imagine cozying up in an open space like this one. Not only does it keep the stress of clutter away, but helps you relax and unwind with its comfy minimalist key pieces. The big pillow seats strewn on the floor beckons you to an informal seating area where you can bring friends over to play board games and wrap up in a soft blanket and a glass of wine in hand. Dreaming of an even bigger space? This high-ceilinged beauty is perfect for a refreshing weekend after days worth of hard-work. Its white walls open up the space even more, especially with minimal objects to get in the way of your tranquil time away from the hustle and bustle of the world. Grab a book and a plate of cheese and crackers— have a luxurious time to yourself! This tiny home gives the illusion of a wide open space with it’s white walls and well lit rooms! Its modern cabin vibe is perfect for a cozy yet elegant gathering with friends! Not to mention that this small space pushes you to be clutter free since there’s already little space to go around! This Japanese inspired design has its heart in the forest. Imagine coming down for breakfast to this peaceful scene that’s situated right at your backyard! Take a breath of fresh air and clear your cluttered mind in a serene space like this. This one’s for our extra serious MinimaLUXE readers! Once you’ve reached your Minimalist goal, this one is a sight to behold. Push the limits and really get in there with decluttering. Only take what you need and go! When all is said and done, sometimes we still need a little bit of an inspirational kick to get us started on switching to the Minimalist Lifestyle so if you still feel like you need that boost, check out our blog post on the new Netflix Show “Tidying Up With Marie Kondo” where the queen of tidy herself takes on a world of clutter! As promised in yesterday’s post of how we stored our clients Christmas decor is a short tutorial on how to pack Glass Christmas Ornaments or other fragile items. I learned this by watching how the professional German packers wrapped our breakables before our move. You can also find step by step picture and instructions in my IG stories today. They in the highlights as Packing Fragile. You don’t have to keep their unsightly brown boxes, that only attract roaches and pests. If the box is dirty and gross, get rid of it. You don’t need to keep them in their original boxes at all. Buy smaller but nicer boxes so you can store similar items together. 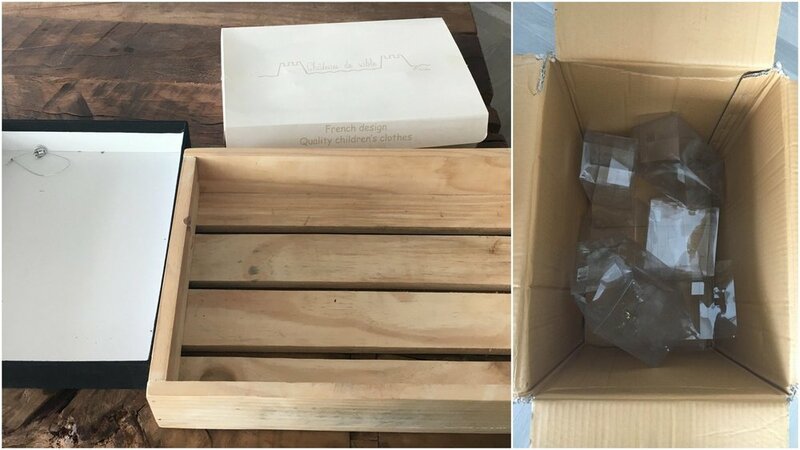 In the next post, I will teach you how to wrap fragile items in a professional way - how shippers have packed my glasses during each move to a different country - so that they are well protected, yet don’t take up so much space. I try to avoid using bubble wrap because they are single use plastic that’s adding to the trash in the ocean. I’m showing you here how we put away our client Amanda’s Christmas decor since they were in bulky dusty, containers that weren’t a joy to open or put away. Christmas Decor is usually stored in a mish mash of ways. Even worse many of them are stored in dusty boxes that probably attract cockroaches, moths and silverfish. Remove them from the original packaging and organize them according to color. Use the lids and boxes to do this. See all the bulky packaging that we removed. Use smaller boxes and put items in the same color family in one box, with the heavier items in the bottom and more fragile items on top. Since it’s small, there is less chance of dropping them and it’s easier to handle the boxes. I like these ones because they are light, so even if the decor is fragile, there is no need to put paper in between each one. Avoid heavy large boxes because you are more likely to drop them and break items within. You can use also use these, but be careful with handling, and you might need to put a bit of padding in between each item. The holidays came, saw, and conquered our -BER months, and now it’s January 2019. Santa has up and vanished and we’re left with a whisper of the past celebrations in our hearts and a mountain of gifts to sort through. But what do we do when we excitedly unwrap a gift only to find out that it’s something we don’t have use for? We’ve all experienced it - that soul crushing guilt of receiving gifts from special people in our lives that we just know we’re never going to use; maybe it’s a blouse that hasn’t been your style for years, or a curling iron… but you’re bald. Okay, maybe not really, but you get what we’re talking about here: GIFTS THAT JUST AREN’T FOR YOU. We’re here to let you know that there is a guilt-free way around these items that will be both beneficial to you AND the gift itself. Let’s start with the simplest one: Re-gifting. Yes, it’s true. You can totally re-gift your gift! However, we recommend that you only do this if you already have a person in mind from the moment you opened your gift. Having a person in mind lets you know that someone else will benefit from this item far more than you ever will. There is one thing you should keep in mind though: Make sure Loved One A (The Gifter) will not cross paths with Loved One B (The Re-Gifted). This could cause some drama, and no one likes drama. And make sure that the gift is the style and taste of Loved One B, or else you are just passing on the problem to her. You can also ask a good friend, whom you know will understand and not tell on you. They might have use for it or it might match their style. Be honest and say that you got it as a gift from X, but it’s doesn’t suit you and it would be such a pity for it to go unused, with the caveat that it’s okay for her to say no, if it’s not her style or if she knows she would not use it either. It’s important to choose someone who you can trust and will not take it the wrong way. When selling things online, it’s a general rule to sell your item for lower than its retail price. This helps ensure that the buyers are getting a good deal and a bang for their buck, and quickly gets it out of your hands and into the hands of another. Depending on where you are located you can sell it on Craigslist, Ebay or Facebook. Do it tastefully on Facebook: If you don’t want the gift giver to see it, simply change the setting of who can see your post. Choose the Friends except [insert name] option. Or if you plan on selling it in one of the Facebook Buy and Sell Groups, make sure that the person who gave it to you, is not part of that group. There are so many Facebook Buy and Sell Groups in each city, these are hubs where people can find almost anything for a really good deal. Head on over there, and list your item, OR you can sell it directly from your Facebook Wall. Transparency with your buyer is key to an honest selling experience. Highly recommended! Kick off your years set of good deeds by donating the item to people or families who need them more than you do. There are so many out there who need what we don’t, and so heading over to your nearest donation box is one of the best ways to give away an unwanted gift. Not to mention the fact that it’s sure to leave you a sense of happy satisfaction once you drive away. When it comes to figuring out what to do with an unwanted gift, a change of mindset is exactly what you need. The fact of the matter is: Yes, the gift was given to you, but what good can it do if for the rest of it’s life if it’s doomed to sit on a shelf in your closet gathering dust and mold? Not to mention that constantly trying to maintain an unused gift with silicon gel packets and dehumidifier tubs will attract nothing but pests, cockroaches, and moths, only to make your life worse. Its life-purpose will never be fulfilled and it’ll only be left to waste away into nothing. It’s not the best way to appreciate a gift that was given to you. By re-gifting, selling, or donating it, you will be able to make someone else happy and whatever you get in return, be it money, or a sense of satisfaction, is far more beneficial to you, than an item that will never serve you. So, open your closet and let your gift see the light of day again. Give it to someone who will actually benefit from it. After all, clearing out useless items is what decluttering is all about, right? 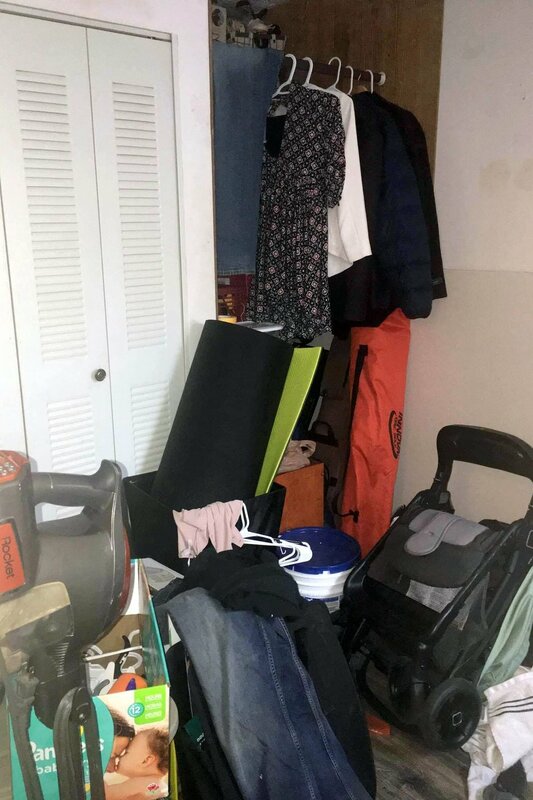 This is PART 2 of the Transformations in my Virtual Decluttering Client Deslie’s Home. Yesterday I showed you PART 1 the changes in her work areas in her home, like the Pantry, Utility and Laundry Areas. 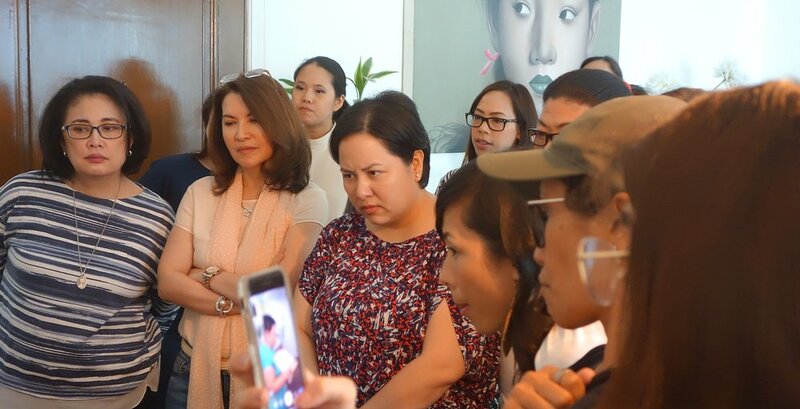 This was an amazing opportunity to help a fellow mama overcome the clutter that seems to overwhelm us at certain points in our lives, through virtual coaching, because Deslie was all the way in the USA and I am currently based in the Philippines. These are pictures of the bedroom as a work in progress after our one month coaching. I hope you can see the work that’s been done on the dresser, which I was really impressed with when I think about how Deslie and her husband are doing this with full time jobs and a newborn! Dressers are hard working parts of our bedroom. Keeping them organized, helps us practice self love and self care minus the stress of looking for things. A clear surface is always a joy to use. After putting on make up, be sure to put away everything, to maintain a clear surface. Before heading out to buy organizers, always REDUCE your stuff first, then look for pretty boxes that you have already. You can use them to organize drawers without spending more. Extra rooms have a tendency to become a dumping ground, but envision a guest room that is always ready for a guest or a tidy area for DIY or seasonal storage. Think of the different areas as vignettes and have a color themes for each - Max of 4 colors per vignette. For example the dining area has (i) wood, (ii) gray and (iii) white. Look how beautiful their space was for Christmas. A decluttered space is one where you will love having special family time and making memories! Isn’t it amazing what Deslie and her husband were able to do in a short amount of time in between their work & caring for a new born?!? It was truly an honor to help a fellow mama who was overwhelmed by clutter. I have been in this situation myself, especially before a move, where I wish I had a professional to help me, so I can focus on the life ahead of us, instead of being bogged down by what I need to let go of. Sometimes we just need fresh eyes and professional experience to guide us. I was so excited by the challenge of coaching virtually to make an impact on someone’s space and life even if we are timezones away. If you haven’t read it, please do check out PART 1, which has Deslie’s touching post asking for help, what was included in our one month coaching package and the before and after photos of her Pantry, Utility and Laundry areas. Thank you for for the amazing feedback Deslie, it was truly our pleasure and honor to work with you! * I am an amazon affiliate but as always all opinions are my own. Below was Deslie’s post on the Glam-O-Mamas Discussion Group, a group for mamas with thirty four thousand plus members by celebrity mom Amanda Griffin Jacob. I was very flattered when Amanda told her that she might want to get in touch with me for help. 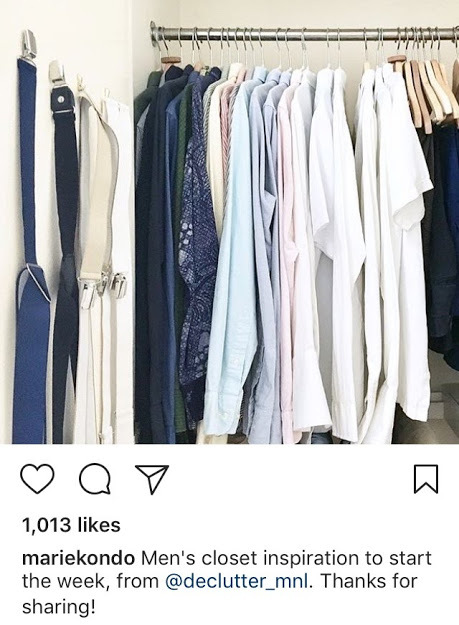 Deslie’s post really touched me, because I could so relate - the mental load for housework is still mostly on women in many countries - and I wanted the opportunity to virtually coach her to declutter, because Deslie was all the way in the USA, and I am currently based in the Philippines. How to do the Kon Mari Method in her home. How to shift her own and her husband’s mindset so they could do this project as a team. What and how to dispose of items in each category. How to organize the items that remained. I also guided on what products can help organize problem areas and what decor can declutter her space visually and where exactly to buy each item. In the end she sent me some AFTER photos which truly delighted us both. There was a massive shift in her space and they were able to do it during their free time. I am sure it was tiring work, but to be able to see these results and be happier in their home was truly worth it. Though her husband said he could paint the pantry, I give huge props to Deslie for deciding to DIY cover her shelving using marble contact paper achieving a cleaner look faster and without waiting for her husband to have time and energy to help. So empowering and Love the marble design! After disposing of all the expired items & using organizers with chalkboard labels to keep similar items together, the pantry went from chaotic to one that anyone can find anything they need stress-free. It’s so easy to dump everything in a utility room, but keep only utility items in there and use bins to segregate things according to their purpose. One of the most important things I learned from Marie Kondo is that labels are visually cluttering, so whenever possible please remove them, or transfer products to plain containers that do not have loud noisy packaging. Another thing that tidies a hardworking space like the laundry room is a clear sharing of the work and mental load. In places where household help is not the norm, it’s important for couples to discuss how they can share the mental load of the home. This is very different from assuming that it is all a woman’s job, then anything the husband does is to help her. We all have that “project” that we had such high hopes for and didn’t end up doing. In Deslie’s husband’s case, they were these wooden floors he wanted to install, but after 3 months it was still an eye-sore in the stairs landing. Instead of keeping them out in the open, thinking it will be done sooner, it’s better to keep these things in the utility area or garage while waiting. However if after doing the Kon Mari Method, you realize it no longer brings you joy, you have the option to sell it on Craig’s List, eBay or Facebook to get back part of the cost. But if it’s more effort than what is worth your time, it’s better to put it out in the sidewalk for someone else to use, fix, or be collected by the garbage truck. Deslie was really happy to see these go, and it made the house and their relationship feel lighter since the weight of expectations on her husband has been lifted. Sometimes the cost of the items is less than the happiness you feel letting go. Stay tuned for PART 2 tomorrow, where I will show you the transformations in their bedrooms and the dining & living area! 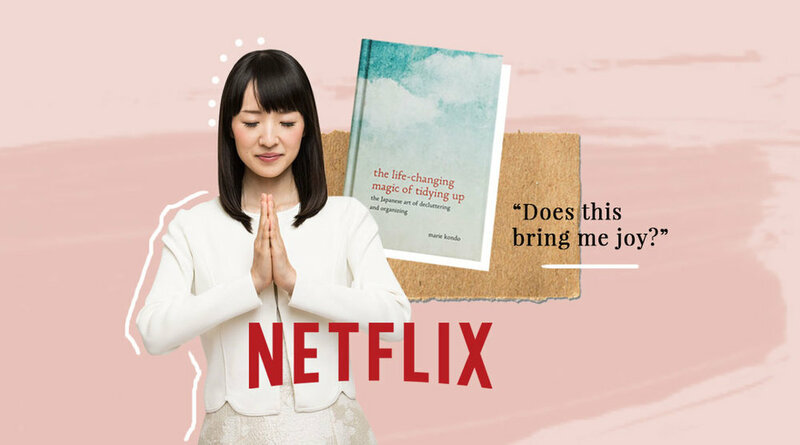 Get inspired to declutter your life this year by watching Tidying Up With Marie Kondo on Netflix. You can binge watch the 8 episodes, or watch it one by one as it inspires you to make changes in the different ‘categories’ in your life. Get me pumped and excited to declutter my own stuff. It’s not easy, even for someone who does it professionally because of emotional attachment to my own stuff. It’s easier helping other people do it because I’m more objective. Get inspired by space and life transformations. This assures me that the end is worth the time and effort. Find decluttering and organizational ideas that I would like to apply in my space. Each person has different tidying up needs, and I love how Marie Kondo’s show reflects different situations and how she applies or tailors the #MarieKondoMethod for each client’s needs. It’s so important to feel that our unique situation is heard by our professional organizer, and that there is no one size fits all solution, because we all have unique spaces, needs, personalities and histories. The end result is that you keep only what Sparks Joy in your life and a space that truly makes you happy. The result usually spills over to the rest of our lives with better, less stressful relationships with homes and housemates/family members. Please check out the trailer below. I hope that it gets you pumped to declutter your life in the new year and to learn what truly Sparks Joy. Letting go of what doesn’t Spark Joy gives space and honors the stuff that truly make us happy. This TV show isn’t the end all and be all, so do not expect to become an expert in the Kon Mari Method, just by watching the show. The secret to the Kon Mari Method is the folding so that each item can stand on it’s own and be stored vertically to see everything in your storage at a glance. If you don’t see how to fold a certain item, it’s always just a google or youtube video away. The value of hiring a professional to help you declutter in the Kon Mari Method is to teach the entire family to tidy their own stuff. It’s not about having someone come do it for you, then not knowing how to maintain it. On the contrary, YOU each need to do your own decluttering, so you each know how to maintain it. Once you do the hard work, you will want to keep it tidy forever because you know how hard it was. *I am an Amazon affiliate, but as always all opinions are my own. After more than a decade of decluttering each time we moved countries as a diplomat’s wife, it felt like I was perpetually drowning in clutter, but that all changed a few years ago, when I found the Kon Mari Method. It is the only method that really works! I read her books, watched her videos and applied the Kon Mari Method to my home. Since then I have also helped numerous clients declutter their homes using the Kon Mari Method. I specialize in helping people declutter before and after moving homes, to make the move less stressful. Some people are able to do this on their own, but if you are in need of support or coaching, the DeclutterMNL team caters exclusively to Makati-based clients, and some nearby areas like BGC and Alabang.. We also do virtual coaching for clients who aren’t in the area.